From the original Cars, here we have the brand new Mattel 1:55 scale diecast release of Mater with sign! He is part of the 2015 "95 Pit Crew" sub-series (#4/8). 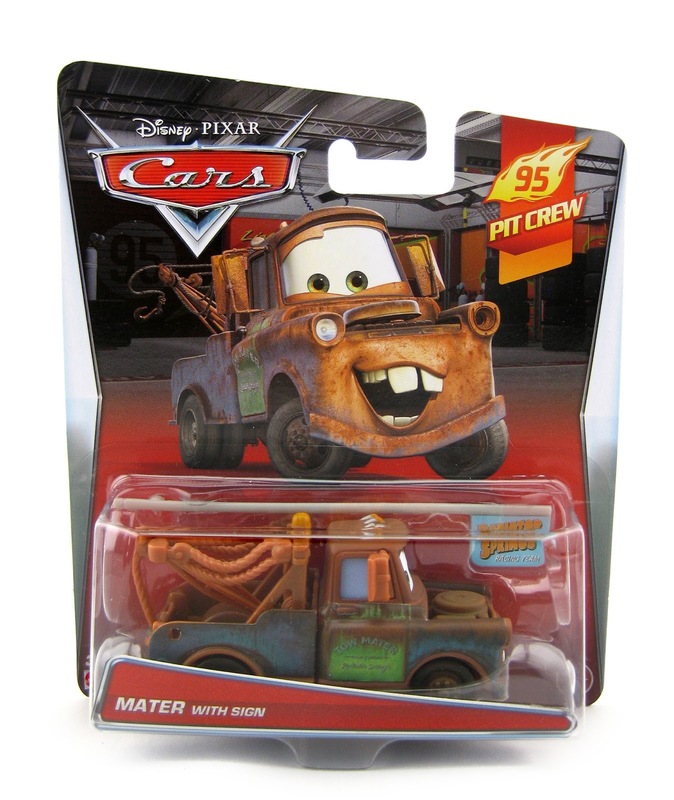 This is the first time Mater holding this "Radiator Springs Racing Team" sign has been made available. 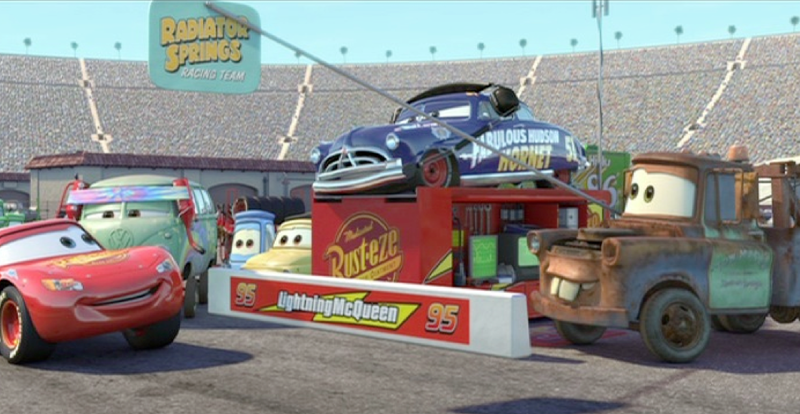 Now when you build this scene with your diecast cars, your diorama will be that much more accurate! As shown in the screen shot above, Mater is seen this way near the end of the film when Doc Hudson and Lightning's Radiator Springs pit crew come to his rescue during the big tie breaker race. You can find this one in stores (or online) now!